We are a family friendly Centre with a great team of staff members offering services to New Milton since 2007. All our Pampered hairdressers are Qualified L3 Ladies and L2 Gents Cuts – Caci Non-surgical Face Lifts & Body Solutions by Teresa (OWNER OF SALON) , qualified CACI specialist – Beauty, Nails, Tanning is N.I.C Beauty by Nicola. We also offer Inverness Ear Piercing by Alisha – See Bottom Hair Price List for EP prices. We are governed by Croner Health & Safety and Employment Law, we are fully insured and are a data protected compliant centre. See our scrolling REVIEWS below OR CLICK on the GOOGLE STAR RATING TAB (bottom of this page) to leave or see our GOOGLE REVIEWS . Love this hairdressers! Thanks for giving me an appointment at short notice after I had to cancel. Always come away feeling great.Sam, Callum and Aleisha are so friendly and make you feel relaxed and not intimidated. Really recommend this hairdressers. I've been a client of Nic's for just over 5 years now . You could not wish for a better beauty therapist.... friendly, attentive, and does a fantastic job. I've set her many 'Nail Design' challenges and she never fails to achieve..... Even though I don't live in the area now, I still travel to see her for my treatments every month! I've been a client of Nic's for just over 5 years now . You could not wish for a better beauty therapist.... friendly, attentive, and does a fantastic job. I've set her many 'Nail Design' challenges and she never fails to achieve..... Even though I don't live in the area now, I still travel to see her for my treatments every month! Thanks Nic ? Teresa is an experienced and enthusiastic Caci specialist. She gives time and thought to achieve the best possible results for her clients. I have benefitted from her skills and would warmly recommend her. Both my partner and I come here once a month for the last 3/4 years and we would never go anywhere else. The quality of service is perfect every time, and the team are nothing but perfectionists. I would recommend this company to anybody as they are reasonable and understand your every need. 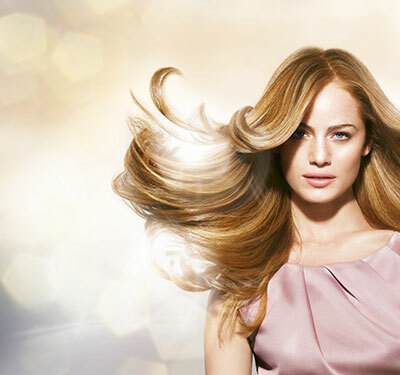 Have been going to this salon for a few years, won't go anywhere else, I've gone from long blonde to short red and back again, always a fantastic atmosphere, friendly and welcoming staff, brilliant stylists always feel relaxed and pampered. Phoned on the off chance while on holiday in the area, excellent service and helpful with directions! will return again next time I'm down. 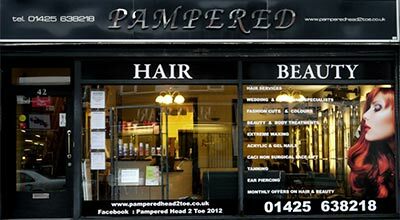 Lovely Salon, Staff so Friendly and Welcoming. Have been going to Pampered for a few months now and I am really happy with cut and colour, friends have commented how good my Hair looks. Thanks to Callum. I had so many positive comments at work today from at least 10 or more colleagues & a customer. They said how nice my hair was, the colour & the cut. The customer even asked where the salon was & who my stylist is so I told her where & who. Sam styles my hair & I am so pleased with what she has done!! I have been coming to Alisha for my colour & cut for over 3 years. Alisha listens and recommends styles that would suit me, have always liked how she does my hair. On this visit I also had some foils, really pleased with the result, my colour looks so natural. All the staff are very friendly and welcoming, the salon also offers a loyalty scheme which is another bonus, would recommend to anyone. I have been coming to Alisha for my colour & cut for over 3 years. Alisha listens and recommends styles that would suit me, have always liked how she does my hair. On this visit I also had some foils, really pleased with the result, my colour looks so natural. All the staff are very friendly and welcoming, the salon also offers a loyalty scheme which is another bonus, would recommend to anyone. Never had a bad experience going to Pampered - Alisha and Callum are so friendly and chatty and despite me being in the older age bracket I'm always made to feel very welcome. Alisha takes lots of care and attention to my ever changing requests and I always come away feeling I've had a great cut which is easy to manage - would definitely recommend. Thanks Alisha! Teresa is amazing and an expert in CACI Non-surgical Face & Body Treatments. I've never felt so confident. The team are friendly and professional. Thank you, best place ever. CACI Non-surgical Face & Body Treatments: Teresa is amazing and an expert in CACI Non-surgical Face & Body Treatments. I've never felt so confident. The team are friendly and professional. Thank you, best place ever. I had some acrylics put on in Thailand then had gel on top. They were over a month old and stuck fast. Nic was brilliant. She managed to save my own nails and painstakingly removed the old. Someone commented how amazing my nails were. I of course had to tell her where they were done and how much I'd recommend Nic to them. You're an absolute superstar. Excellent salon to have all your Caci Non surgical Body solutions and Hair services. Friendly and polite staff and a relaxing and welcoming atmosphere. Sam styles and colours my hair. She always ensures I am happy with everything, talks through any changes I may want and I always end up with exactly what I pictured. She is friendly welcoming and very professional. I am always being asked where I get my hair done and I would totally recommend Sam. I've just been for my regular 6 week cut and colour and I always like to try something different with good advice from Alisha. This time I have a shorter cut which I love (I am sure it makes me look younger!). I also love the hints of blue, no not a blue rinse but subtle blue highlights. I always enjoy the whole experience of my appointments, a relaxing time, good chats and a 'new' me at the end. Thanks Pampered! Great staff and very friendly. Recently had my hair done by Sam and was very pleased. Highly recommended.